See inside the Connaught car barns, known as Russell Carhouse, Queen East directly opposite the Ashbridge Estate. You can also visit several other places of interest in the east end, and all over the city. Get out and see places you normally can’t explore. Sun. May 25 9 a.m. to 2 p.m. This entry was posted in Ashbridge neighbourhood history, Ashbridge's neighbourhood businesses, J. Ashbridge Park, Queen Street on May 20, 2014 by The Ashbridge's neighbourhood. City of Toronto – Victoria Day Activities. Toronto’s only Victoria Day fireworks show will be a spectacular 14-minute display at Ashbridge’s Bay Park, rain or shine. A special viewing area with limited space is set aside to accommodate people with disabilities and their families. City bylaws prohibit the public from setting off personal fireworks in the park. This entry was posted in Ashbridge's Bay, Beach / Beaches, Event on May 17, 2014 by The Ashbridge's neighbourhood. 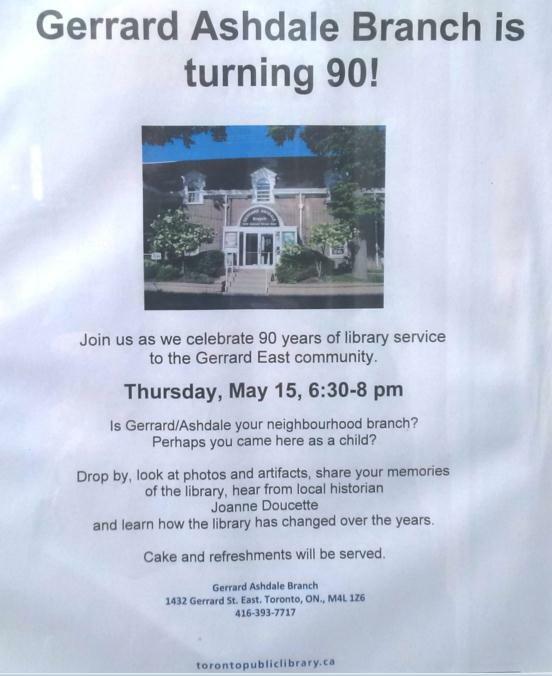 Thursday May 15 6:30 p.m. to 8 p.m.
Our local library is celebrating 90 years. Built at the corner of Ashdale and Gerrard in 1924. You’re invited to drop by, look at photos and artifacts, share your memories and hear from local historian Joanne Doucette. See the photo below for details. 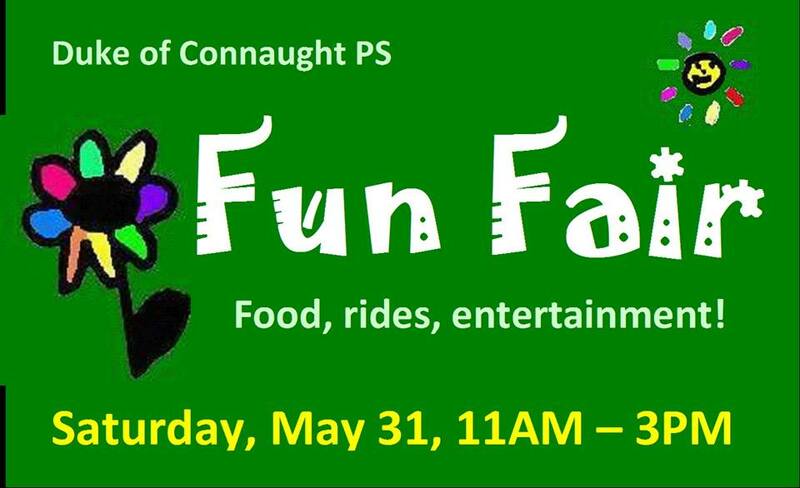 This entry was posted in Ashdale Village / Little India, Gerrard Street East, Event, Gerrard-Ashdale Library on May 13, 2014 by The Ashbridge's neighbourhood. Thanks to everyone who came out for my Jane’s Walk on May 4, 2014. We had about 30 people start at Ashbridge’s Bay and make our way up the Ashbridge’s Creek valley, ending at Monarch Park. I’ll post some photos soon. 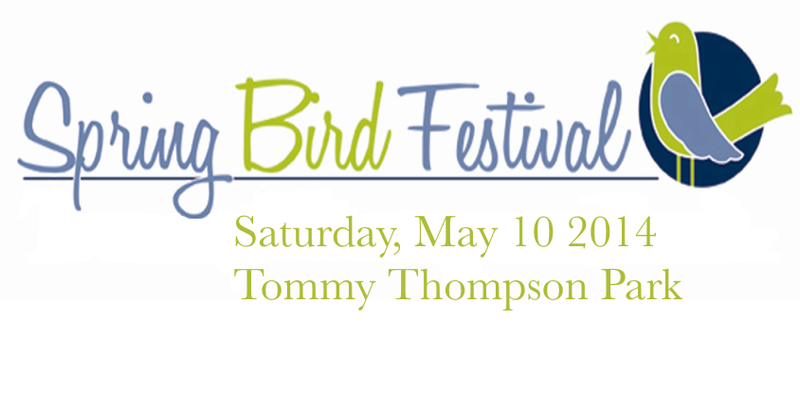 Continuing on the outdoor theme, this Saturday May 10, 2014 you can take part in the Spring Bird Festival on Leslie Spit (you will see the name Tommy Thompson Park which is the “official” name of Leslie Spit). And in one other piece of news, Applegrove has decided not to go ahead with a SPA night this year. This entry was posted in Applegrove Community Complex, Ashbridge neighbourhood history, Event, Leslie Spit and tagged Leslie Spit, Spring Bird Festival on May 9, 2014 by The Ashbridge's neighbourhood.